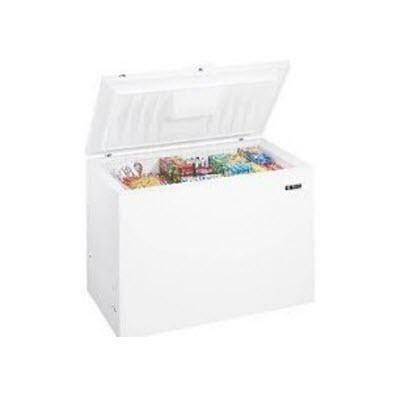 This Kelvinator chest freezer with 8.8 cu. ft. capacity offers many features to make storing your groceries a breeze. It includes manual defrost with defrost drain, 2 lift-out sliding baskets, a power on light and adjustable temperature controls. Total Capacity 8.8 cu. ft. / 0.25 cu. m.